I was at a punk-rock show in Japan when I met a couple fellow Americans and we decided to form a band. Needless to say, we liked to play loud. 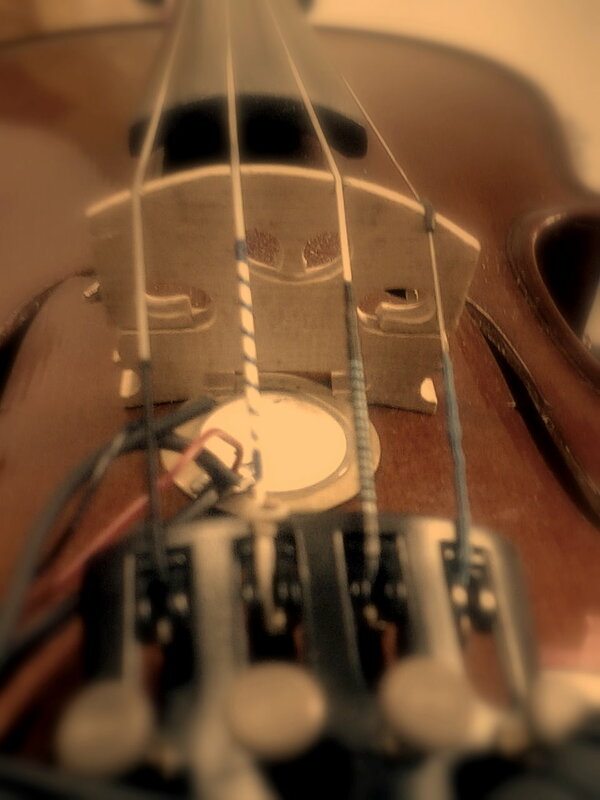 Lacking the budget to buy an electric violin, I tried jury-rigging a pickup from a piezo buzzer - like those found in birthday cards - and slapping it on the bridge of my violin. This made for some rather unusual sounds that I enjoyed, but, alas, the hollow body of an acoustic instrument is not meant for high-volume performances. The feedback was uncontrollable and all the other instruments echoed through my pickup. 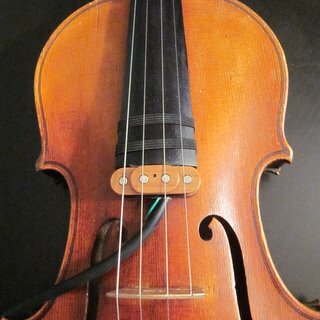 Eventually I was able to buy a cheap Chinese-made violin with a built-in piezo pickup and preamp under the bridge. The preamp broke immediately when I put a battery in the wrong way, but I still use the instrument without the preamp and like it better. 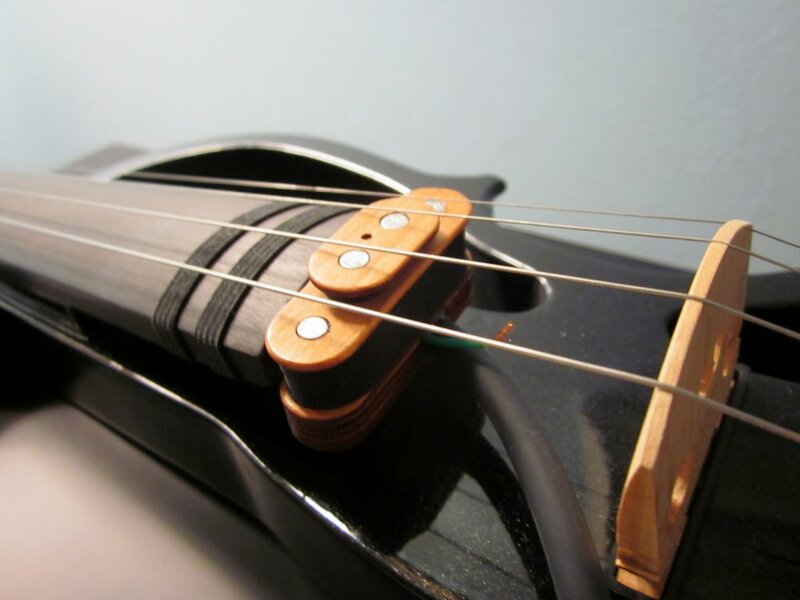 That said, I've come to realize the disadvantages of conventional, piezo pickups: Generally, they pick up the sound of your hand when you slide up the fingerboard, and the sound is very cold and one-dimensional since most of the instrument's natural reverberation is lost. Even on non-acoustic instruments, there is some potential for the body to resonate and produce feedback. 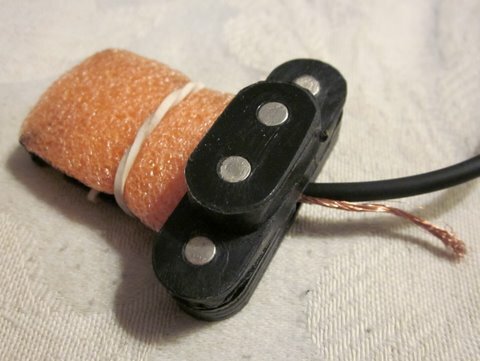 Finally, the cost of a descent piezo pickup is still beyond my budget. So I decided I wanted a magnetic pickup, the kind electric guitarists use. I found a few videos on youtube of custom -made instruments, but failed to find a manufacturer. I went to a guitar shop intending to buy a standard guitar pickup and modify it, but I walked out when the clerk laughed at me. So I did the only think I could: I decided to build my own from scratch. 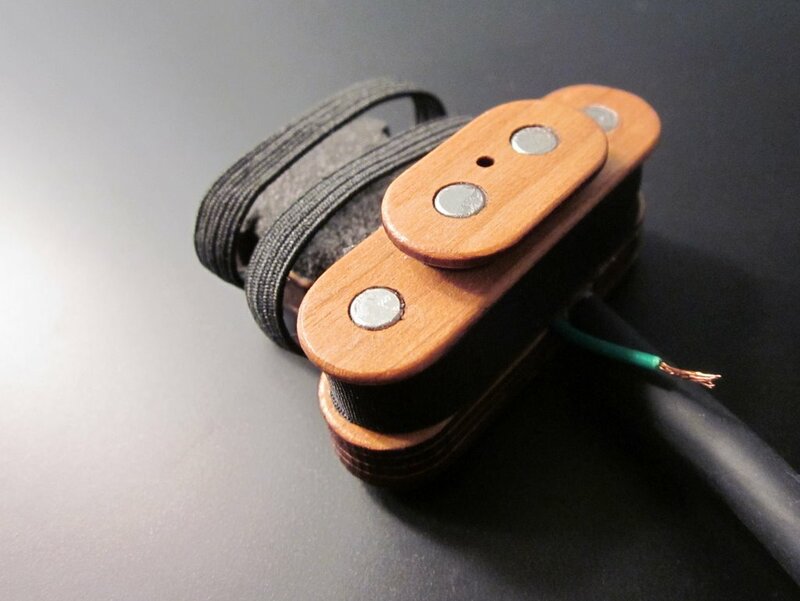 Honestly, it was a lot more work than I thought it would be: Unlike a guitar pickup, the magnets for each string have to be at different heights because of the curve of the bridge, and there isn't enough space under the bridge to put a noise-canceling humbucker-type pickup. 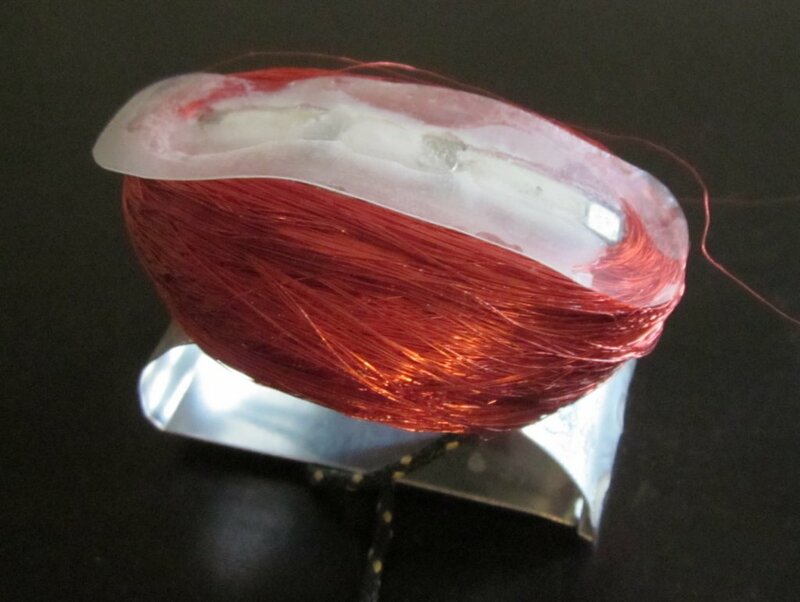 Because of the tension in the strings, the magnets also have to be stronger than those in most guitar pickups. My first magnetic pickup was made from a fridge magnet and some decorative wire. It sounded horrific, but it worked, and I was inspired to revise the design again and again until I arrived at the current model. It's been a trip., but this is the pickup I wanted three years ago!